Last month we went on a road trip through Mana Pools, Zimbabwe, to visit camps and gather insider tips for YOU; our guests! 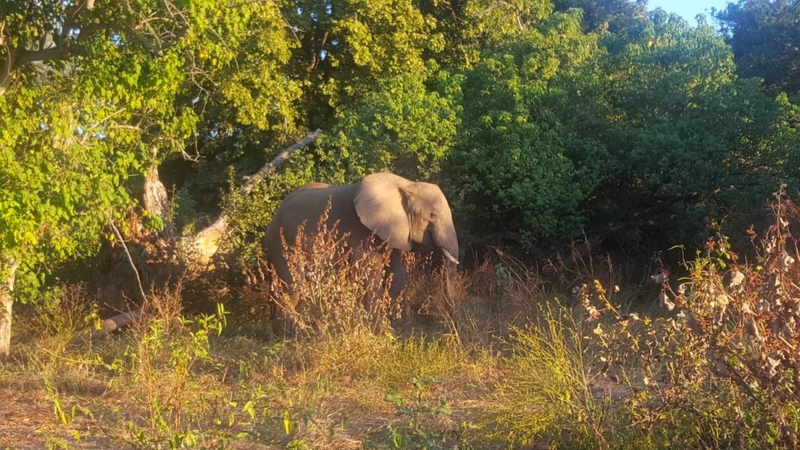 It was an amazing journey, so we thought to share some impressions with you – read on for an account of our road trip to Mana Pools! It was an early morning start from Bulawayo because we knew we had quite some kilometres to travel this day. It was Saturday but due to no school holiday nor high travelling season, the road was not covered with too many cars. Only the cities we passed – Gweru, Kadoma, Chinhoyi – were already busy and pumping. Once travelling, the immediate change that we noticed was that there were no road blocks. So the promises made from the politicians were fruitful. Shortly after Makuti, we stopped at the National Parks Wildlife Office in Marongora. 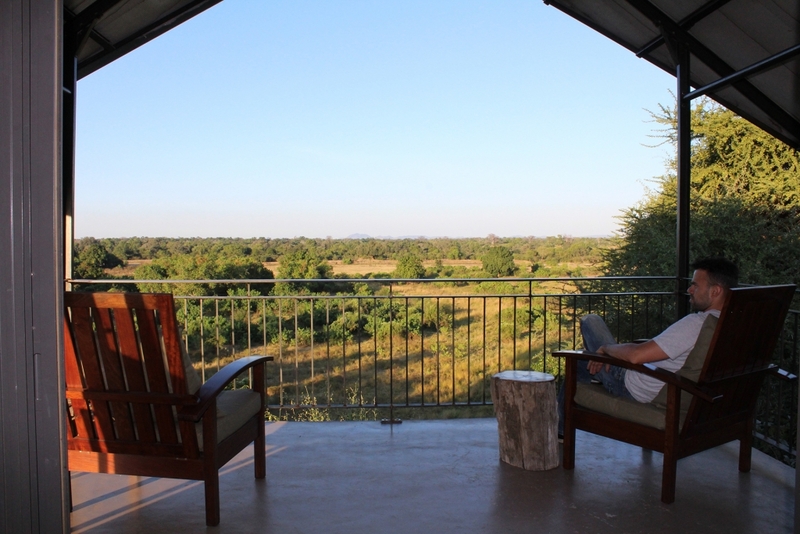 Everyone staying in the Mana Pools National Park needs to stop here to get an entry permit. The latest time to receive this permit is 15.30hrs. Afterwards, no one is allowed to enter the park. The escarpment road is getting worse due to the heavy traffic by trucks: potholes, crumbling tar and crazy truck driver met us along the way. We were happy to finally arrive at the Chimudzi Gate, the entrance to Mana Pools, to submit our permit for verification and filling in the register book. We assumed that the worst part of the road was over but soon realised that the upcoming gravel road between the two Mana Pools gates is very rough (and the ladies were happy to wear their sports bras). Driver vs passengers – to drive slow or with a certain speed, that’s the big question! As soon as we have seen the Kavinga sign, after about 25km, we were on the hunt for our first Game sightings, and we were not disappointed. 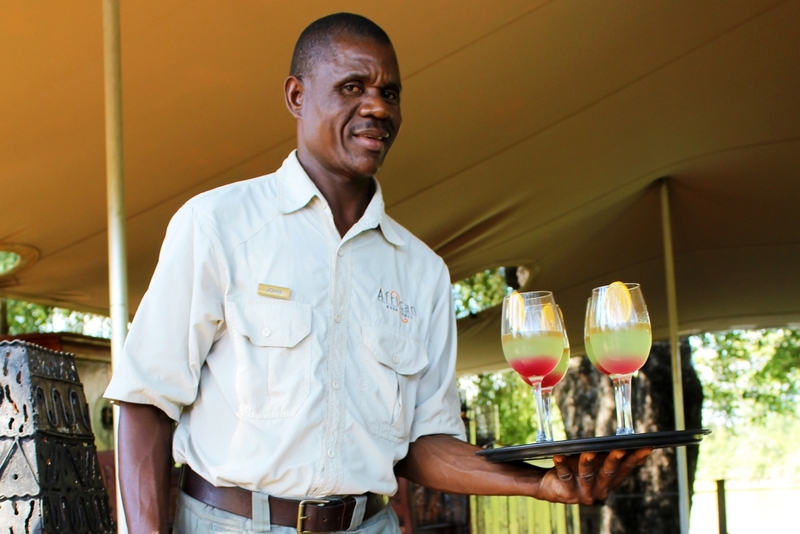 Greeted by impalas, kudus and warthogs, we made our way to the Kavinga Safari Camp. 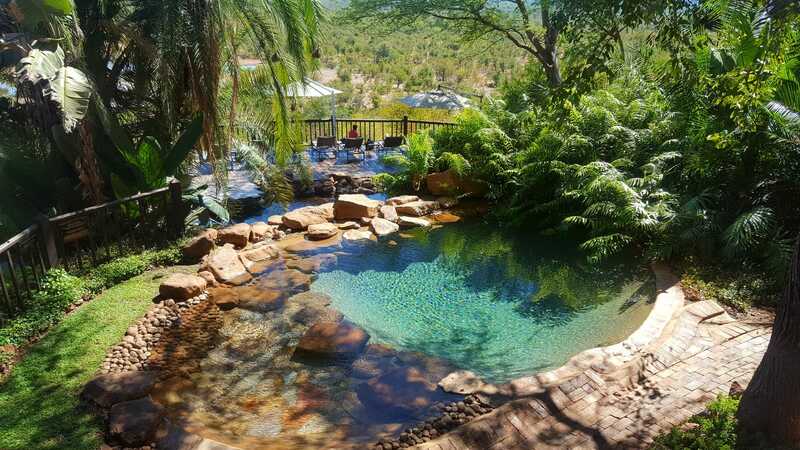 Situated on a private concession, this camp is beautifully built on a riff, overlooking the wide dry riverbeds of the Ruckomechi. 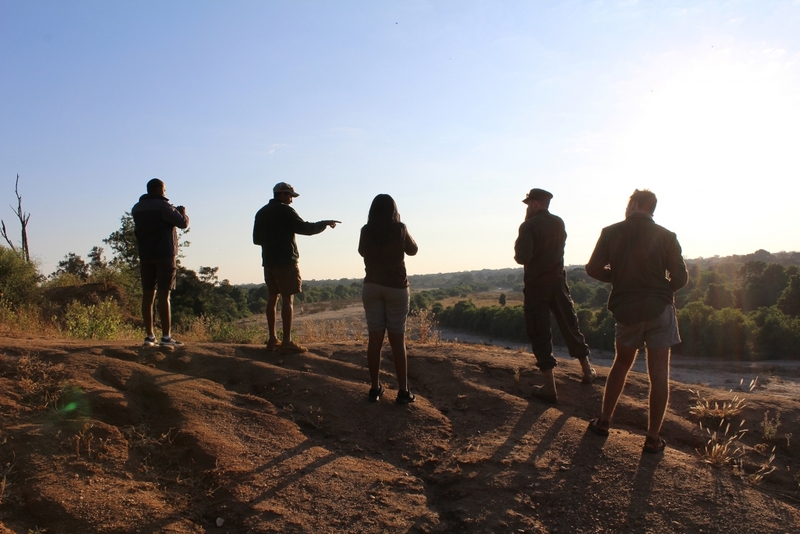 Warmly welcomed by Siraaj, Caitlin and the team, we immediately went to the main area to enjoy the stunning view, framed by the Zambezi Mountains. In front of the tents, we discovered the waterhole, which is pumped with water to please the elephants passing through the camp. Being the sole permanent water source in the area, the camp invites lots of Game throughout the year, but especially in the dry winter month. To get up close, there is a hide just beneath the water source for stunningly close wildlife encounters. We were lucky to spend two nights and a full day with the Kavinga Team. The tents are spacious with an own balcony each. The big glass French doors for an uninterrupted view open up to two comfortable beds. In the back is an en-suite bathroom with two washbasins, toilet and a big open shower. 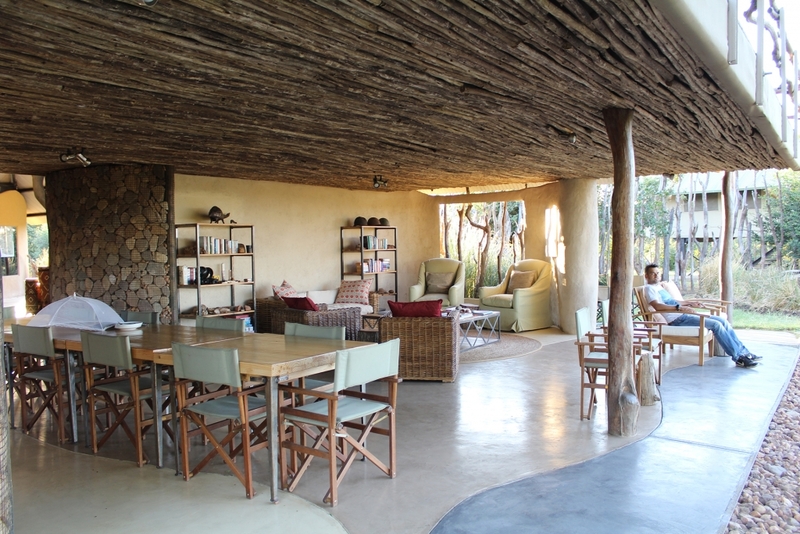 As the camp encourages sustainable travel and has an eco-friendly philosophy, the camp is built accordingly. 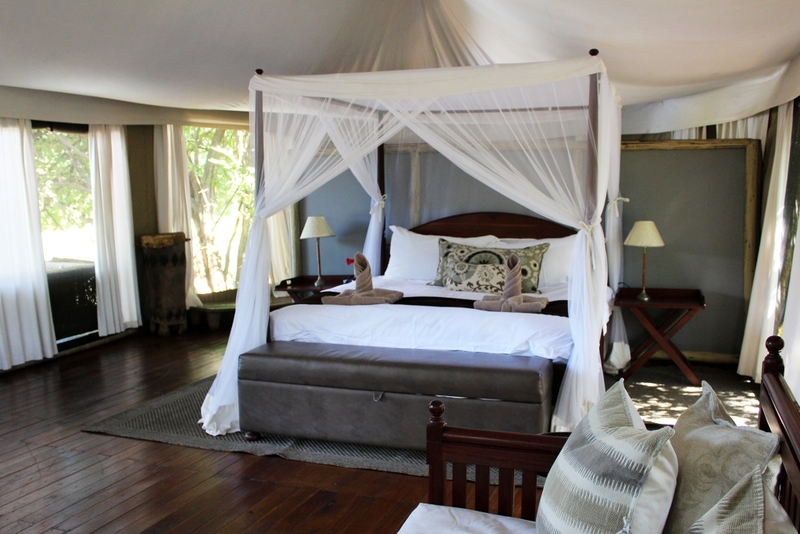 Each tent has its own solar geyser, which means permanent access to hot water showers. And wow – this water can get hot! 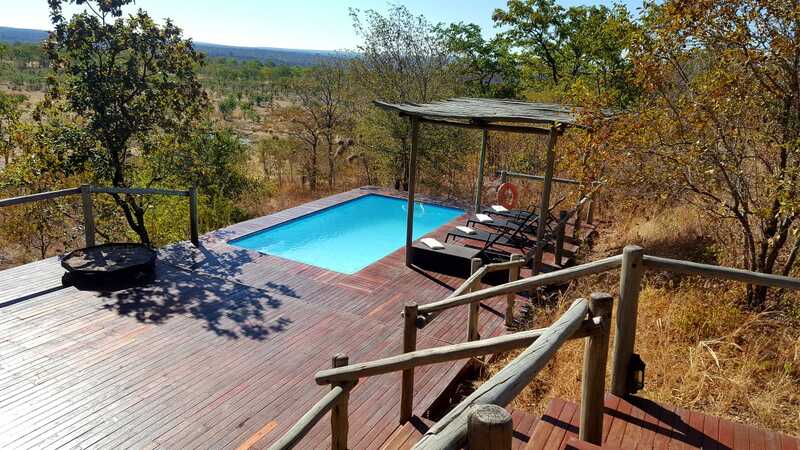 Electricity is won out of solar panels and the camp has an amazing system and backup batteries so that there will be enough to charge the power supplied equipment and the guests cameras. We loved the two USB plugs in the rooms! The back of house is also reducing unnecessary use of energy and works with solar to win electricity. Sustainability is the way forward, and Kavinga is living it! Siraaj and Luke took us out of camp to show us the private concession. 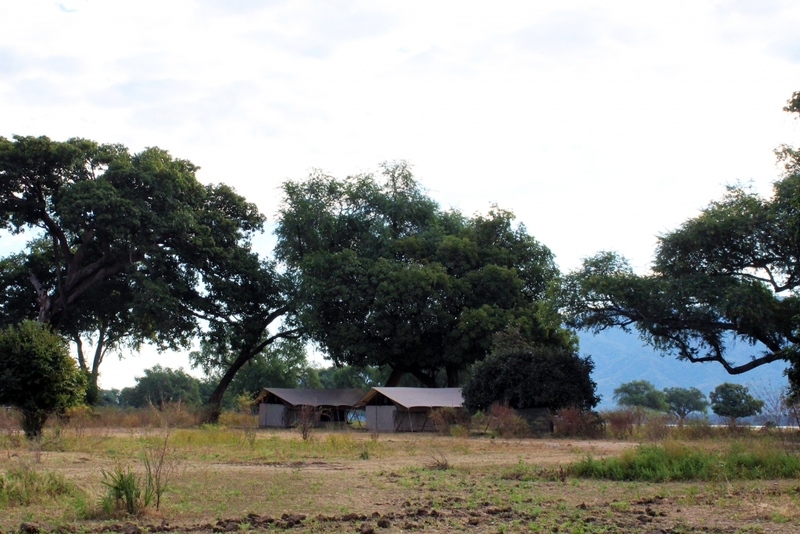 We drove along the edge of the area, which is within the southern boundary of the Mana Pools National Park, close to where the Ruckomechi and the Chiwuye Rivers meet. Due to the remote and private location, it feels like we were the only visitors in Mana Pools. And literally, there is no need to see any other visitors because there are enough roads and walkways to stay within your own area. 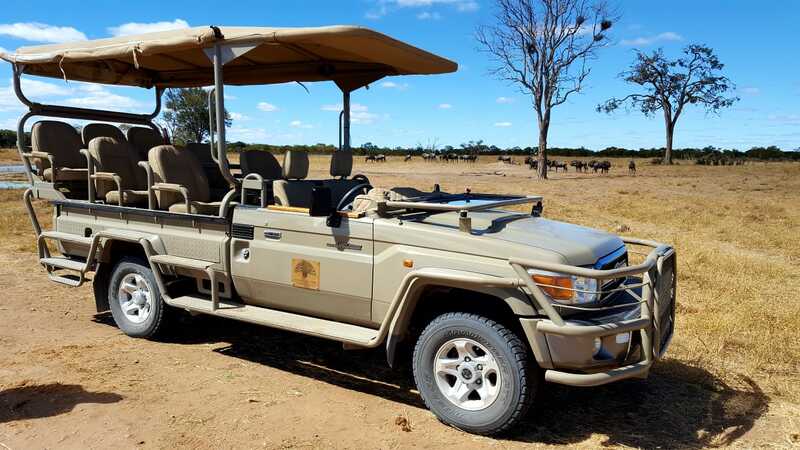 It can be explored with the knowledgably guides on their Game Drive vehicles (window seat guaranteed) during day and night (= allowed on a private concession) but also on foot. 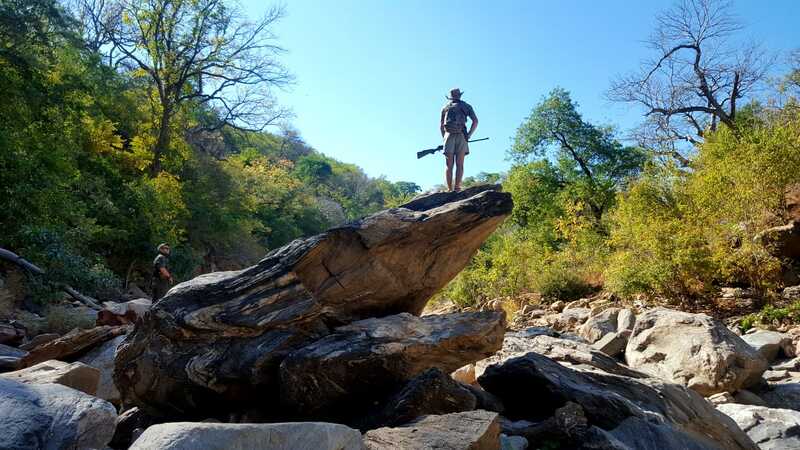 The dry riverbeds and the open bushveld clearly invites everyone for a quick hop out of the car, to get even closer to the nature. The advantage of having a good and knowledgeable team needs once more to be stated: with a professional guide like Siraaj it is possible to walk in the area because he has the license to do so. Additionally, he has years of experience in the field, and in Mana Pools especially. 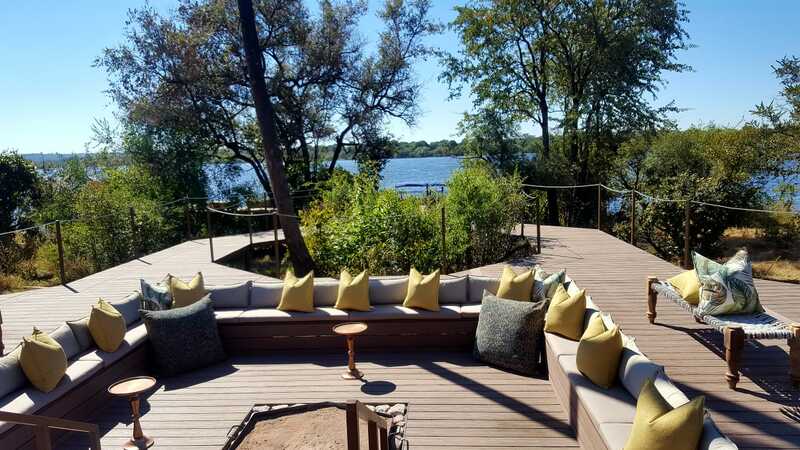 Waving our goodbyes, we headed towards the Nyamepi Lodges at the shores of the Zambezi. Passing through the Naksikani Gate to show the permit and confirm that we do not have fruits with us, we continued north. There were leopard tracks on the sandy road but the bush was too thick and the sun too high to spot the actual wildlife. The heat got us right there. 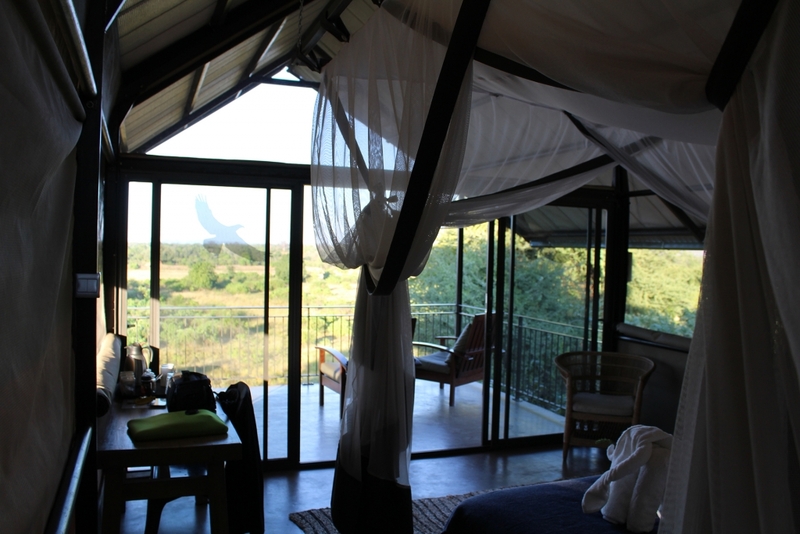 Whilst we had enjoyed the wind, which caressed us in the Kavinga Rooms, now, everything was calm. 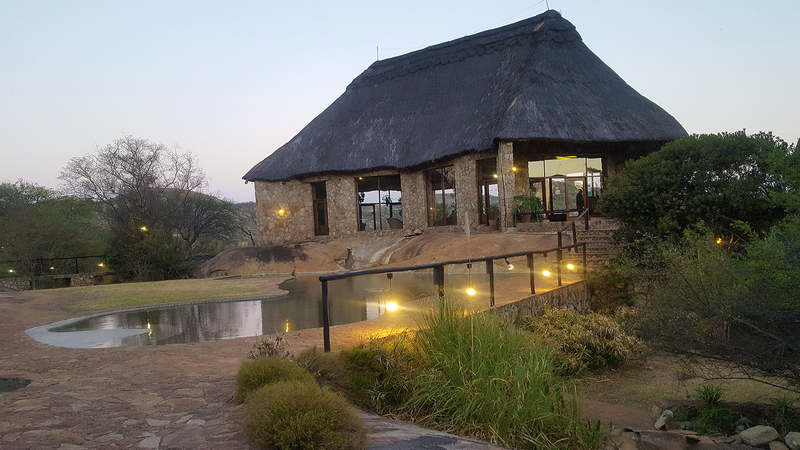 The last stretch towards the Zambezi River is otherwise at that time of the year rather dull: thick bushes on both sides and a long and straight road ahead… Checking in at the lodges, we enjoyed a lovely romantic evening (no power = candle light dinner). 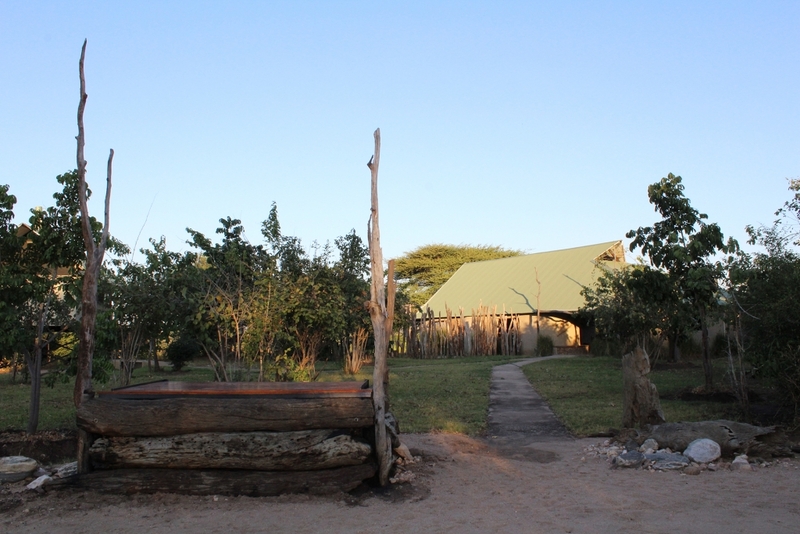 The next day took us to Kanga Camp, run by African Bush Camps. It has been a while since our last visit and we expected that there have been quite a few changes. We were not disappointed. 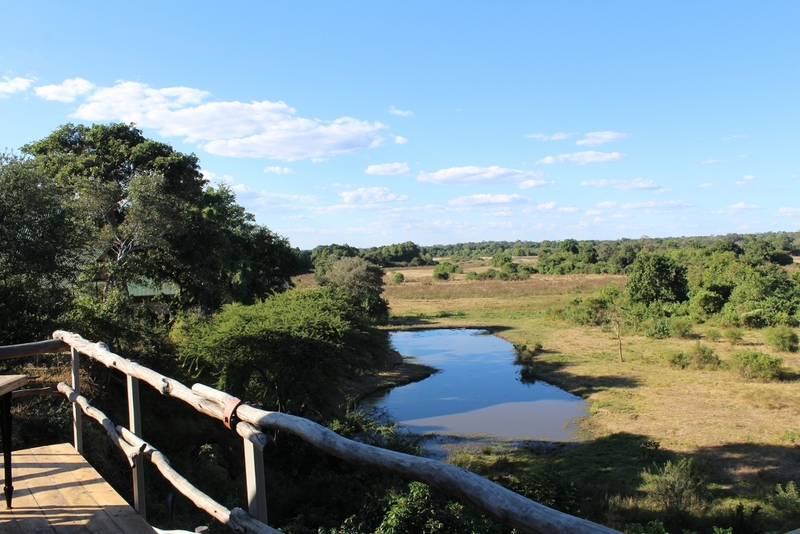 The location of this inland camp with a permanent water source is exceptional and during the last years, the camp has become home to various animals. 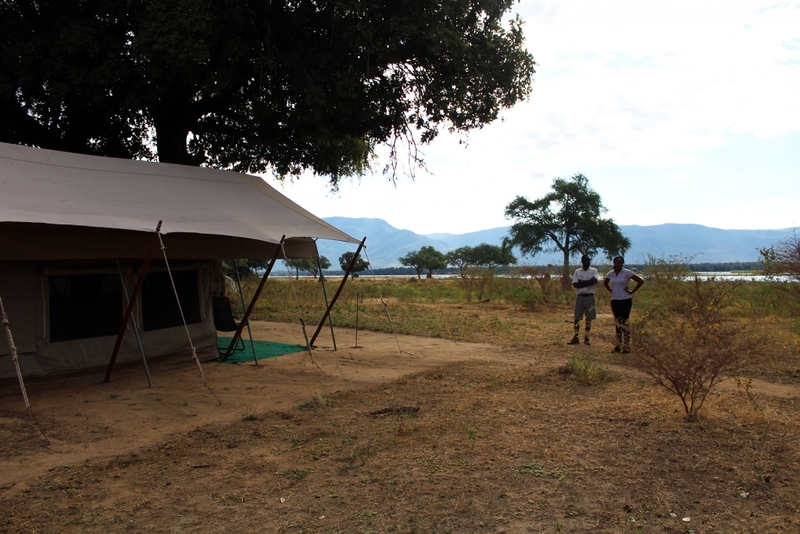 Taffy, the assistant manager at the camp showed us around and updated us on all the new developments planned within the African Bush Camps group: The initial bush camps will be exchanged with east African tents, becoming bigger and more spacious. The tone and setup will also change and the aim is to become more elegant, spacious and comfortable. 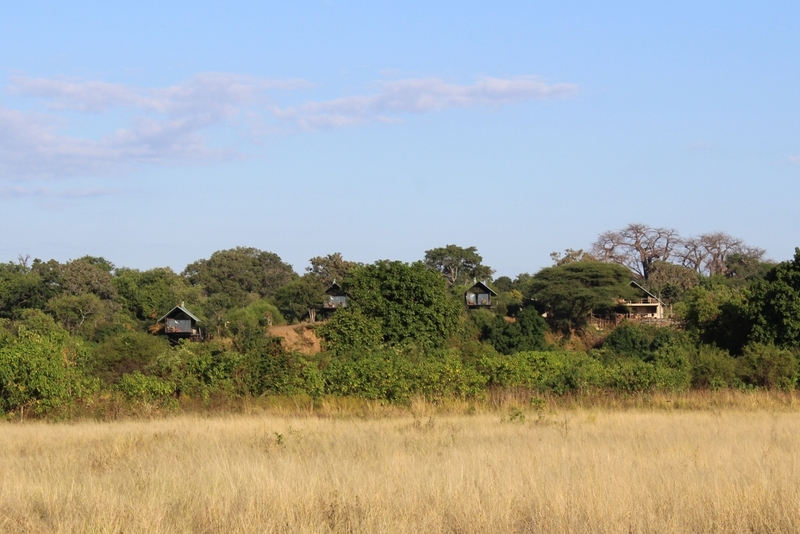 An addition we immediately recognised were the new guides’ tents behind the guest accommodation. Especially in the thick bush and with such a high frequency of animals roaming on the camp path, this is a great development. I remember my parents once were stuck in a tent for 30 mins when an elephant was blocking their way to the main area! Close encounter with wildlife – very possible in Kanga. 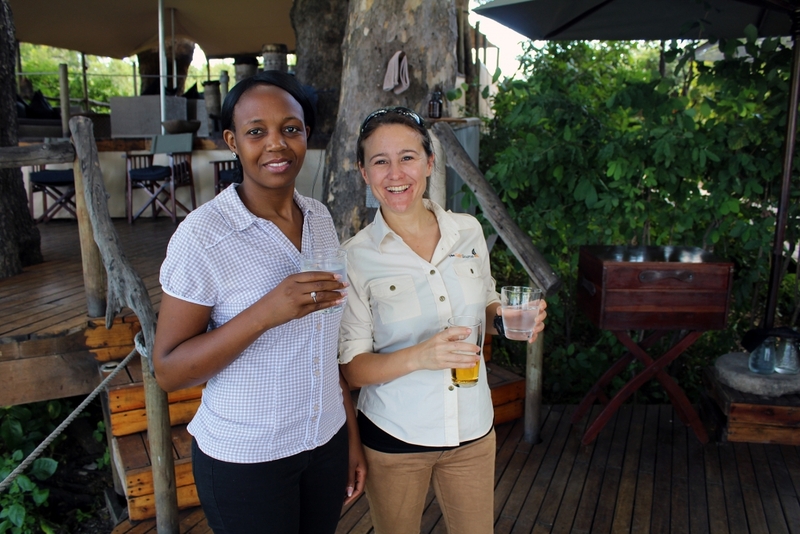 Afterwards it was time for a quick stop at the Zambezi Expeditions Camp. 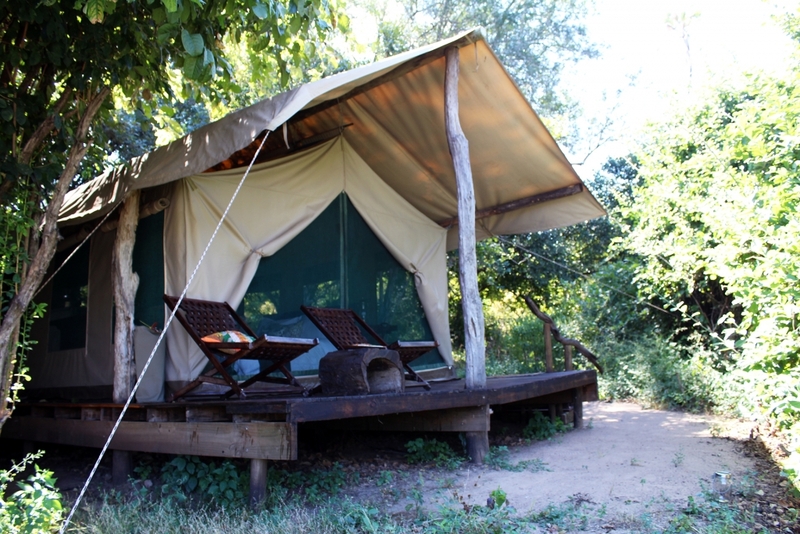 This second camp from the African Bush Camps portfolio is located right at the Zambezi River. 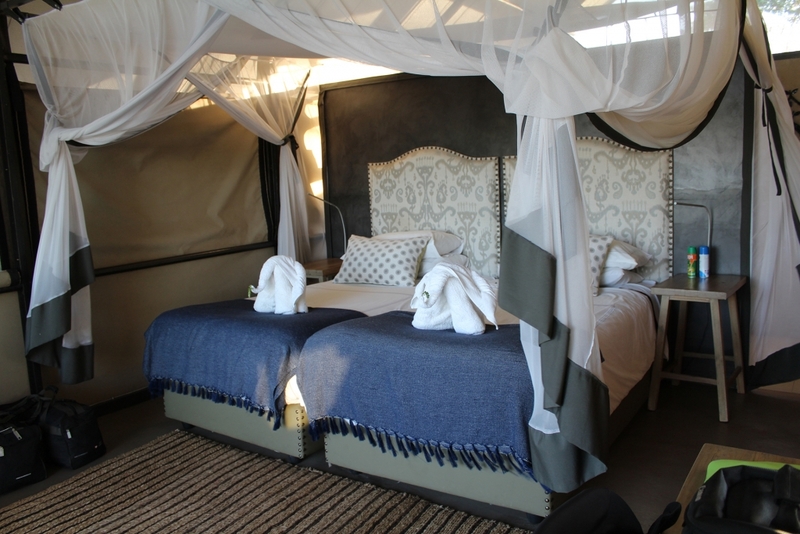 Whilst the operator had to move the Mobile Tented Camp after a couple of nights in the previous season, it has now been arranged so that the camp can stay at the same campsite throughout the season. This is a huge relief to the team but also to the equipment. 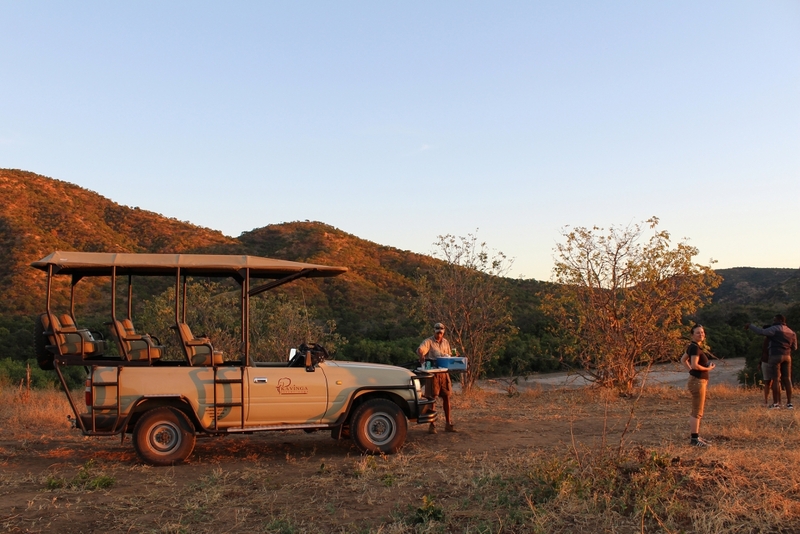 Around the main area, they have set up a nice area to enjoy the time between the Game activities such as game drives, walking safaris and of course canoe excursions. 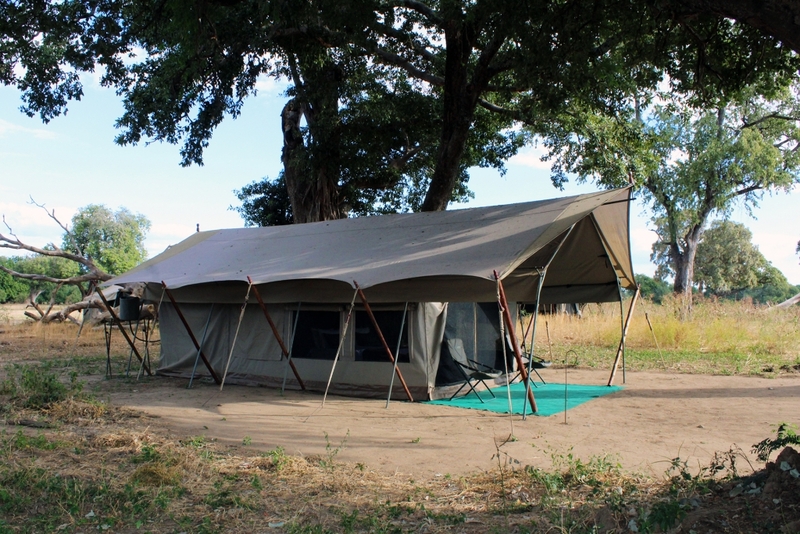 The Zambezi Expeditions Camp is basic in terms of the set up, but nothing is missing. 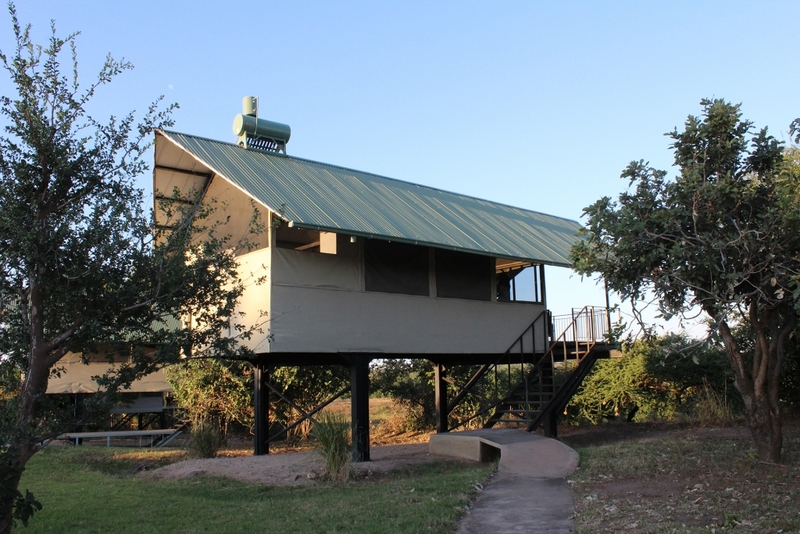 Comfortable beds, flush toilet and a bucket shower with a new system so that the camp staff has the possibility to prepare hot water for the guests without disturbing them in their tent. 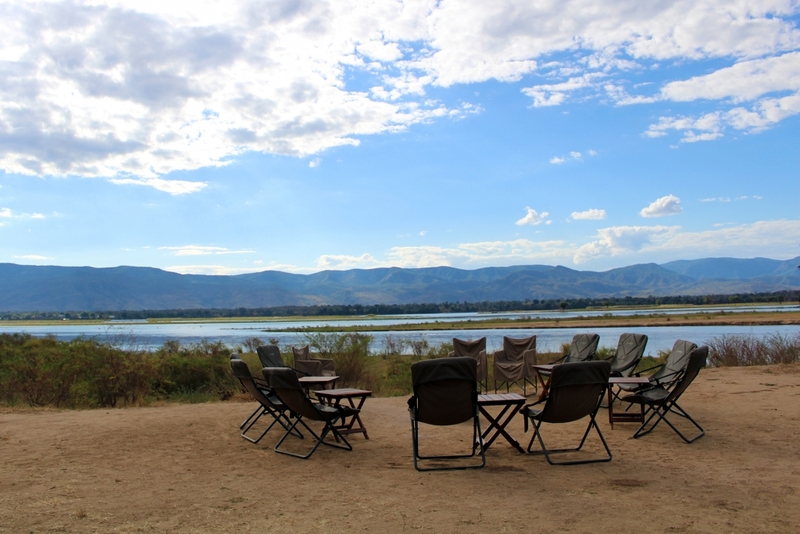 Mana Pools – we would love to visit you more often, and we will certainly be back! We made lots of images at Kavinga Safari Camp – see more of them in our earlier image blogpost.